One of the great things about the blues is that it attracts a never-ending stream of young musicians, so there is a constant inflow of new ideas and sounds that keeps the genre evolving. A great example of this is The Georgia Flood, a rocking blues trio from just south of Atlanta. The band’s line-up includes brothers Brooks Mason on guitar and vocals and Lane Keely on bass and backing vocals, and Kyle Egart on drums (J.C. Freeman was behind the drum kit for this CD). They are indeed quite young, ranging in age from 17 to 22, and they all attended the same high school! These men have an impressive gigging schedule around Atlanta, and were chosen to represent the Atlanta Blues Society at the 2013 International Blues Challenge in Memphis, Tennessee. They have taken the energy of their live shows into the studio and produced their debut CD, The Georgia Flood. It includes five original tracks that were penned by the brothers, and seven cover tunes that exhibit the band’s influences and their impeccable blues taste. This is a self-produced disc that benefitted from the participation of Rich L'Hommedieu at Midnight Circus Productions, who took care of the recording, producing and mixing chores. The album kicks off with Albert King’s “Crosscut Saw,” which lets the listener know that this trio has respect for the fine blues music that was on the air in the 1960s. They eschew King’s Latin grooves and take this song in more of a funk direction that includes plenty of round bass and syncopated rhythm guitar. Brooks Mason shows that he is a fine frontman, and though he is the youngest member of the group, his voice shows surprising maturity as he belts out one nasty innuendo after another. Their original songs are well-written, and the first one up is “Bad Times are Here,” a slow-driving blues rocker that features heavily distorted vocals and guitar. The lyrics are crafted to resonate with the youth of today as they describe a different economic climate than the one that many of us grew up with. Standouts of their originals include “I Thought I Was a Man,” a straight-forward blues tune that has some amazingly hard to accomplish lyrics, and “I Ain’t Sick,” a slow-burner that harbors a panoply of tasty guitar work. Both do not stray far from the blues mainstay of a man who is out of luck in the love department. The covers include “Messin’ with the Kid” from Junior Wells and a pair of difficult to sing Magic Sam songs: “All Your Love” and “I Don’t Want no Woman.” The Georgia Flood did an admirable job with these, but the best re-do on this album has to be their interpretation of Robert Johnson’s 1936 song, “Dust My Broom.” This is a fun romp that is closer to the version that Elmore James cut in 1951, and it gives Brooks the chance to show off his slide guitar skills. They also included a neat instrumental: “Sidetracked” from the 1961 album Let's Hide Away and Dance Away with Freddy King. This all-instrumental disc should be required listening for any up-and-coming blues guitarist, and it is satisfying to see that these guys are paying attention to their forefathers. Brooks does an admirable job of filling King’s shoes, and Lane keeps the bass line driving throughout this 12-bar blues burner. The closing track is a nod to a local hero and guitar prodigy, the late Sean Costello from Atlanta. “Hard Luck Woman” was released in 2008 on Costello’s final album, and it is a classic song of a troubled relationship and a disillusioned young man. The Georgia’s Flood’s version keeps Costello’s quirky guitar line, but with this take’s doubled bass line it ends up being more of a rocker than the original, and it is a cool way to close out the disc. 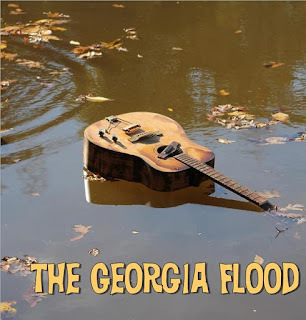 The Georgia Flood is a great first effort, and the band members’ musicianship and songwriting are mature beyond their years. 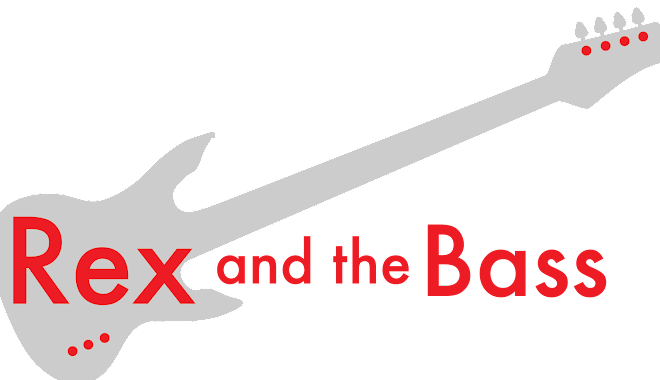 It is definitely worth taking a listen, and with a few more years of experience under their belts they will be a force to be reckoned with; they are certainly the future of blues music in the states!